Dorothy VanName, 95 passed away at her residence in Mariners Harbor on Tuesday, July 10, 2018. Loving Mother, Grandmother, Great Grandmother and Great-Great Grandmother. She was a homemaker who loved going to bingo, Atlantic City, doing puzzles and watching the New York Yankees. She was a lifelong Staten Islander, born in Bloomfield and grew up and lived in Mariners Harbor her whole life. She was predeceased by her husband, George L., daughter, Linda J. Natale and son, Kenneth VanName. 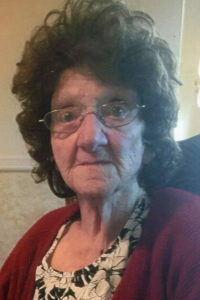 She is survived by her children, Dorothy Moore, George, John, David, Randy (Gail) and Bruce (Deanna). Also survived by 16 Grandchildren, 25 Great Grandchildren and 3 Great-Great Grandchildren. Visiting hours will be held at Cherubini McInerney Funeral Home, 1289 Forest Avenue, Staten Island, NY on Friday from 3:00pm-9:00pm. Funeral will be private. can I have someone of the family send me a card of her passing Margaret boudreau 440ridgeway ave Rochester NY 14615 thank you and again sorry for your loss! !